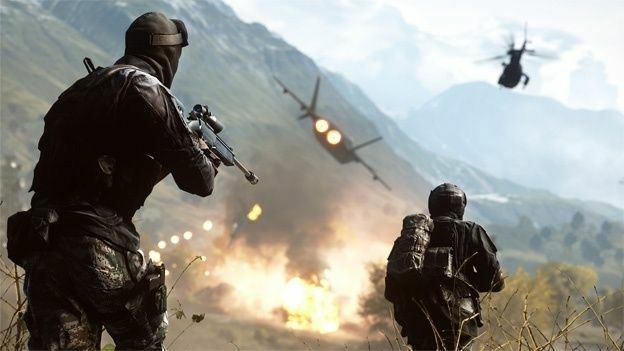 An EA executive has commented on the state of modern video games, saying that many titles are often too hard to learn for new players. Speaking at the D.I.C.E 2015 summit, Electronic Arts chief creative officer Richard Hilleman spoke about how video games today pose too steep a learning curve for beginners. "Our games are actually still too hard to learn," GameSpot quotes him saying during an on-stage interview with other developers. "The average player probably spends two hours to learn how to play the most basic game." "And asking for two hours of somebody's time--most of our customers, between their normal family lives...to find two contiguous hours to concentrate on learning how to play a video game is a big ask," he added. Hilleman's comments came in response to a statement from interviewer/comedian Pete Holmes, who said he would rather controller layouts to remain the same in series' and franchises. While we agree with Hilleman to an extent, it's not always the case. Games don't necessary require two hours of gameplay to just get used to the controls, it's just that many modern games force players to complete tutorials instead of allowing them to discover stuff on their own. Middle-earth: Shadow of Mordordesign director Michael de Plater also took to the stage, explaining that he thinks we'll see more games adopt RPG systems in the future. "Every game is an RPG now," he said. "You wouldn't make a game without progression and levels and XP. And I think every game is going to be a social game...good ideas propagate." What do you make of their comments? Let us know your thoughts in the comments.